For businesses that specialise in e-commerce, having an SEO-friendly website is a must. Good SEO can help new customers find your site in the first place and encourage them to make a purchase once they reach it by making sure the information they are looking for is easy to find. At Cartoozo we are specialists in SEO-friendly web design. We can help with every aspect of SEO, from conducting analysis of your website to judge conversion rates and ROI, to designing a clear, well-structured Information Architecture. Whether you are creating an e-commerce website from scratch or want to optimise your existing platform, our experienced team will be happy to help. Why Should Web Design Be SEO-Friendly? Increase visibility for your brand – SEO-friendly web design ensures that your website ranks highly in search engines and helps your target audience to choose you over your competitors. Encourage trust in your brand – high visibility also means accountability. A brand in the public eye has a reputation to keep up, and if your company is visible it suggests to your customers that it must also be popular. Increase conversion – SEO-friendly web design isn’t just about helping your audience to find you. Good SEO means a clear user-journey, visible CTAs and sign-posting techniques to make it as easy as possible for your customers to convert. Increase ROI – the more people that convert through your website, the greater your revenue. There’s little point having a wonderful e-commerce platform that nobody knows about. On page optimisation – we help optimise your website through clear, relevant content, good site structure, use of anchor and image text and internal link strategies. Simple design – visitors to your website need to be able to find the information they are looking for quickly. Simple, uncluttered visuals help them to do this. Clear user journey – a well-structured site that breaks down information and uses clear CTAs will encourage conversion. 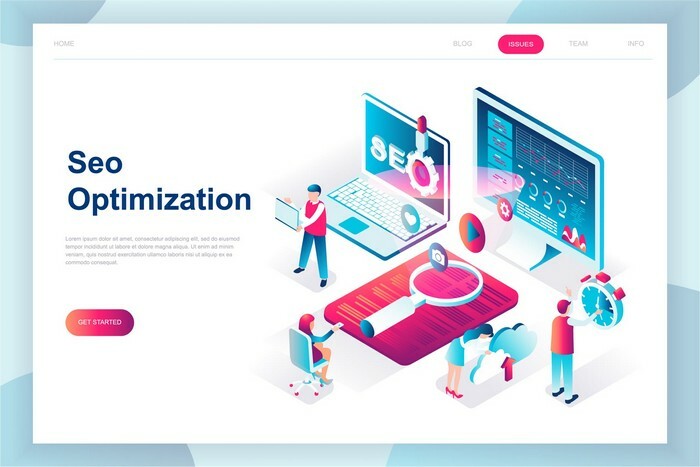 Landing page analysis – we examine the performance of landing pages according to the rules of good search engine optimisation, to ensure CTAs are visible and maximum conversion is achieved. Site speed optimisation – visitors are more likely to convert if they can find what they’re looking for quickly. We help speed up your website so they are not left hanging.